If you're looking to keep your pie crusts flakey and your cookies rich in flavor without using butter, coconut oil is a great alternative in the kitchen! 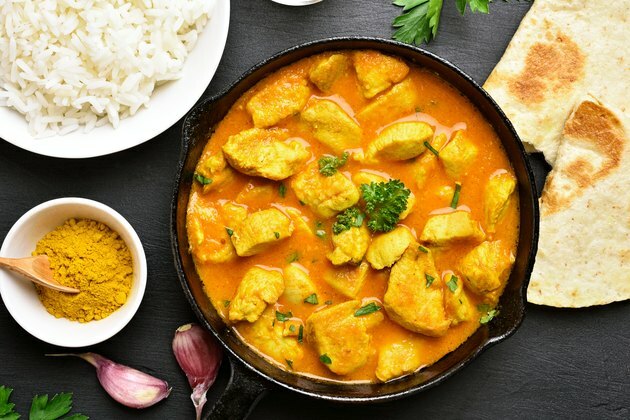 This ingredient can be effectively substituted into many of your favorite recipes without dramatically affecting the taste or texture of the foods you love. Follow the tips below to swap coconut oil for butter the next time you're cooking or baking. If you notice some of your recipes are a little less moist when you use this substitute, you can overcome this dryness by adding slightly more of any liquid the recipe calls for. You can also use refined coconut oil if you don't want a strong coconut flavor. If you're baking with coconut oil instead of butter, it's best to use recipes that specifically call for the oil. In addition to having a slightly higher water content, butter has a different melting point. This can affect the overall taste and texture of foods slightly when butter and coconut oil are interchanged. If you're using coconut oil to saute or prepare a stir fry, remember it has a slightly lower smoke point than other refined oils. Coconut oils start to smoke at 350 degrees Fahrenheit while other oils burn at around 400 degrees. When preparing foods on the stove top using coconut oil, keep the burner at a medium heat setting for the best results. Finally, it's best to cook with unrefined, extra virgin coconut oil. While refined oils may be more accessible and cheaper in the store, the refinement process often uses bleach and other chemicals. This can affect the overall taste of the oil and the consistency of the foods you are preparing. It also may rid the coconut oil of many of the nutrients that make it such a valuable substitute for butter. While both coconut oil and butter contain high amounts of saturated fats, coconut oil contains several beneficial ingredients that make it a slightly healthier alternative. One of the main saturated fats found in coconut oil is called lauric acid. This substance contains high amounts of HDL, the beneficial form of cholesterol that may help cancel out harmful LDL cholesterol and minimize the risk of developing heart disease. Coconut oil may also help you burn more calories and maintain a healthy weight. This is because it contains substances called medium chain triglycerides or MCT. Along with exercise and a healthy diet, MCTs have been found to increase the number of calories your burn over the course of a day by about five percent. Finally, people with food allergies may find coconut oil particularly appealing. The oil is dairy free, making it safe for lactose intolerant individuals. Coconut oil is also free from soybean oil, an ingredient in other common butter substitutes like vegetable oil and margarine that has been linked to weight gain and diabetes. Whether it's time for breakfast, lunch or dinner, there are many other great ways to incorporate coconut oil into your diet. For a quick and delicious breakfast, try spreading room temperature coconut oil on toast and sprinkling with cinnamon. Melted coconut oil can also be combined with your favorite seasonings and drizzled over chicken, pork or fish. Finally, try combining it with vinegar, honey and salt to create a delicious dressing for your salad. 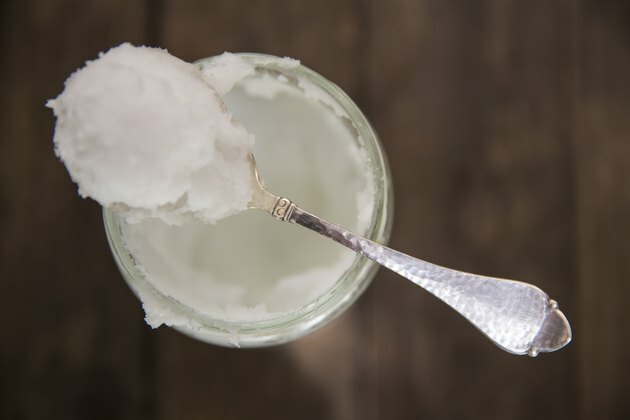 New York Times: Is Coconut Oil Good or Bad for You? Chef Savvy: Coconut Oil Chocolate Chip Cookies. How Do I Substitute Peppermint Oil for Peppermint Extract?